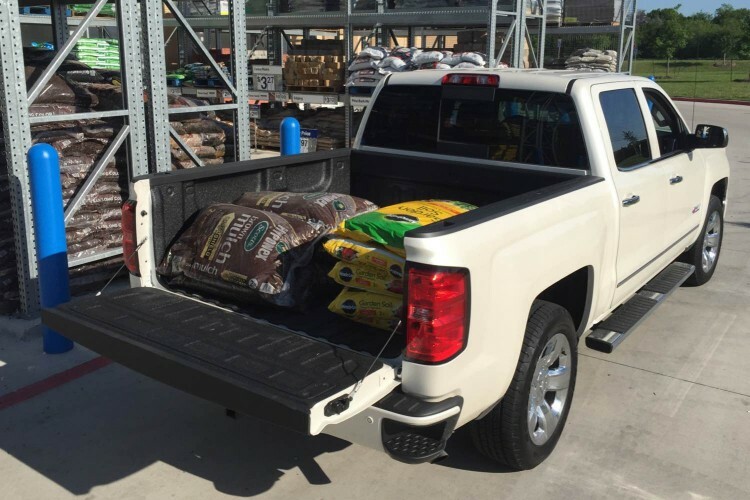 If you have seen any of the Chevrolet Silverado pickup commercials on television lately you might have noticed mention of a certain metal element in the brand’s marketing piece – steel. Chevy is making no excuses in its efforts to get the point across that its trucks are still made of steel, and not a certain other element like aluminum. Aluminum recently found it’s way into the manufacturing process of the newest light duty pickups over at Ford but Chevrolet (and the steel industry itself) is working diligently to boast the tried and true merits of steel in a truck. Either way, the marketing assault on consumers will be a lengthy one for sure. Beyond that, new for 2015 in the half-ton set over at Chevy is an all-new Hydra-Matic 8L90 eight-speed automatic transmission behind its beefy 6.2-liter V-8 gasoline engine. This new gearbox features a wider overall gear ratio spread than comparable six-speed transmissions, and has a higher first gear ratio, giving drivers more effective power on start off when hauling heavy loads or trailering. The new gear ratio set will also improve fuel efficiency, albeit ever so slightly, but at the end of a full tank drivers will be able to notice a difference. 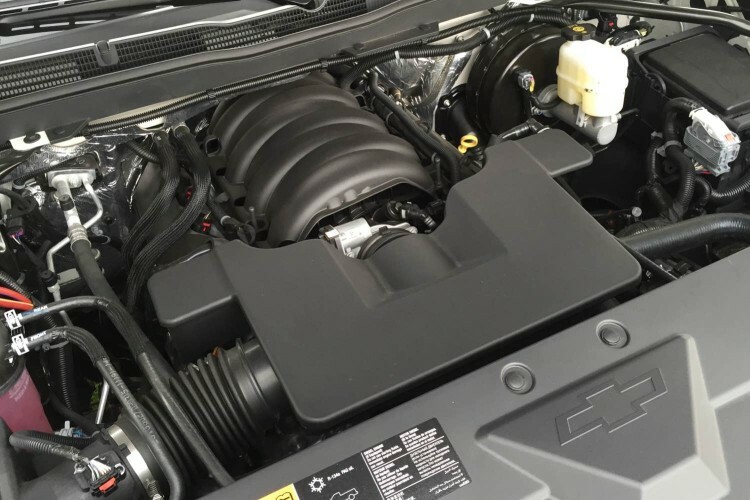 This most powerful engine in the light duty pickup segment boasts 420hp and 460 lb. ft. of torque and is said to deliver 15 mpg city and 21 mpg highway, numbers quite competitive even against some of the smaller engines other truck makers employ. Our recent Chevrolet Silverado 1500 tester arrived in Custom Sport Z71 packaging complete with 4×4 running gear underneath a crew cab box. Last year’s major overhaul of the model line brought improvements to the suspension systems along with the new set of Ecotec engines. Surprisingly, Chevrolet does enlist the aid of aluminum in this truck in the form of front suspension components to reduce weight and increase rigidity. 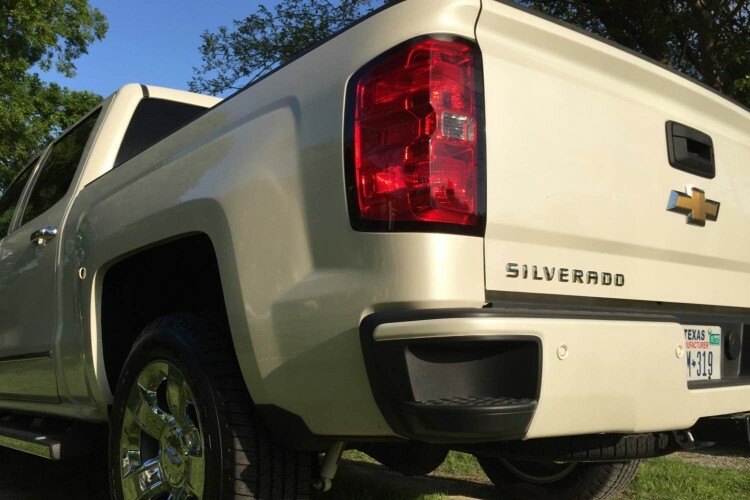 The Z71 package adds aesthetic styling to the Silverado along with monotube Rancho shocks, front tow hooks, transfer case shield, and stylish wheels and tires, ours being of the 20-inch chrome variety. Fancy indeed, but makes one nervous to let them trod over terrain that is not paved. The test truck also featured body color front and rear fascia, spray-in bedliner (with Bowtie emblem at the front of the cargo box), and gorgeous white diamond tricoat body paint. 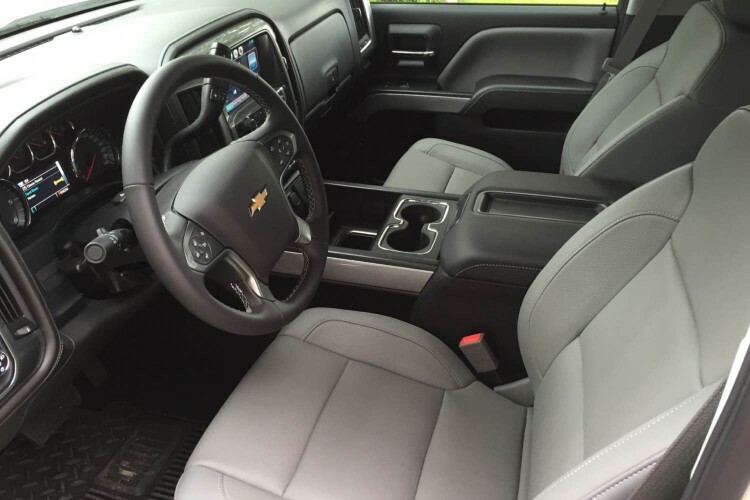 The truck is outfitted with all of Chevrolet’s newest technology including OnStar with 4G LTE and mobile Wi-Fi and Chevrolet MyLink infotainment system. The center dash boasts the 8-inch color touchscreen display and the truck entertains its occupants via the Bose premium audio system. 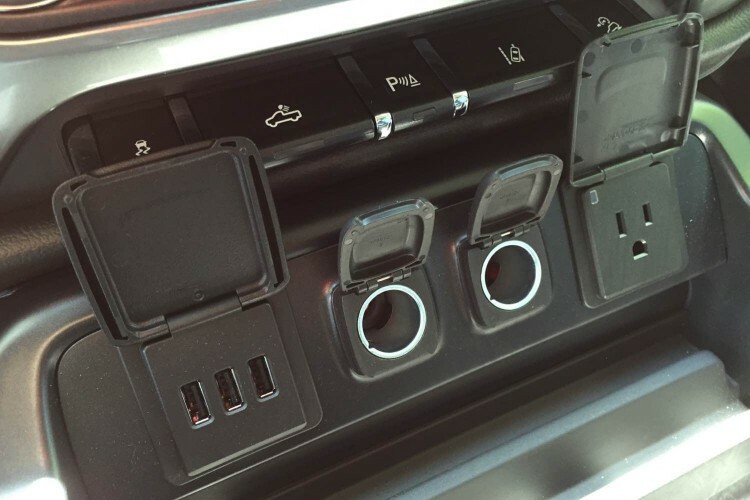 At the front of the center console storage bin are auxiliary 12V outlets, 110V AC outlet, and USB input ports. Underneath the armrest of the center console is another 12V outlet along with USB and auxiliary audio input ports. The infotainment system offers easy access to navigation, audio and vehicle setup, and information but one of the most used features I found was the weather radar, which has been very active here in North Texas this spring. 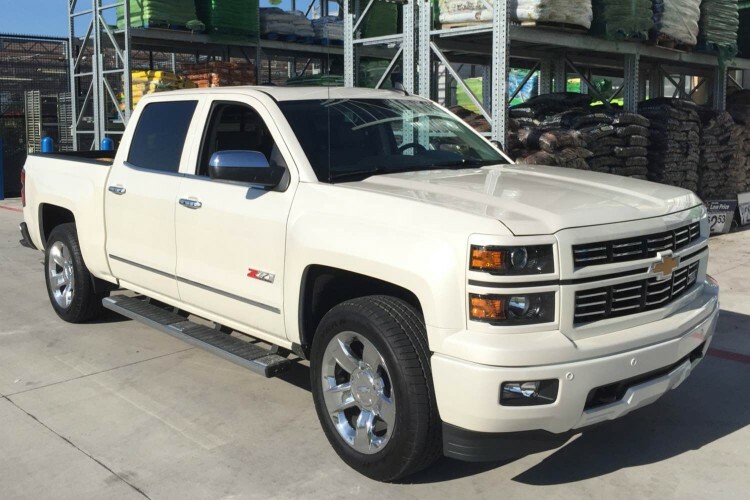 Pricing for this 2015 Chevrolet Silverado 1500 Z71 4WD Crew Cab begins at $45,810 with the final sticker on this truck coming to $57,405. 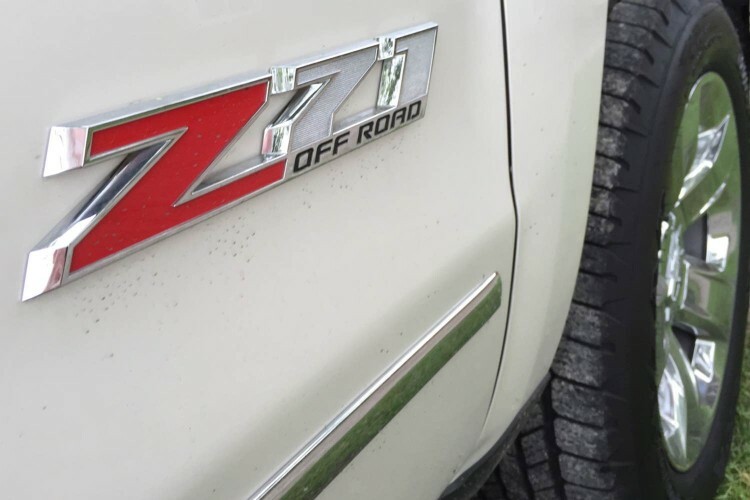 On the road, this truck, even in 4×4 running gear and outfitted with the Z71 package, is very smooth. It offers a quiet driving experience with plenty of power all throughout the powerband, thanks to its eight new gears. 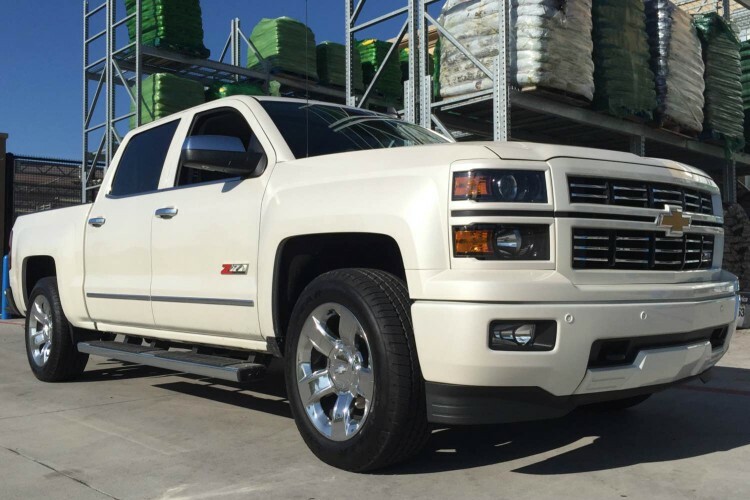 As the steel vs. aluminum wars wage on one thing is for certain and that is light duty pickups offer all the amenities of modern luxury vehicles and they do it with a ready to work, ready to play attitude, and Chevy drives that spirit home with models like this new Custom Sport Z71 Silverado.